Why do you need to be thinking about ticks? Ticks are active in every month of the year, no matter the temperature. They are very hardy and while they may be more or less active at a given time, they are ALWAYS active. 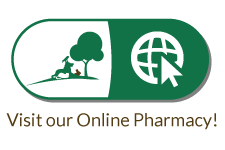 There are a number of serious diseases in our area that are carried by ticks: Lyme Disease, Babesiosis, Anaplasmosis and Erlichiosis. These are all nasty diseases, and they can be transmitted to you as well as your pets. At MetroPet, we have diagnosed all of these diseases in pets from the Berea area. Ticks are everywhere. Just because they are named after dogs or deer doesn’t mean people in the city don’t have to worry about them. The primary host for all ticks are rodents, and there are rodents everywhere there are people. What kinds of ticks are in your area? There are three main ticks in the Berea area that we have to worry about. The Brown Dog Tick: This is the most common tick in this area, and they are carriers of ehrlichiosis and babesiosis. 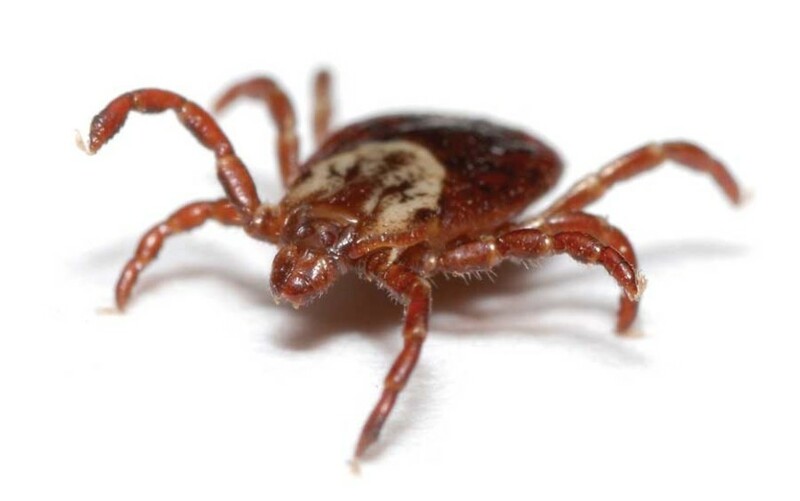 The Deer or Black-legged Tick: This is the tick most people are familiar with, as it carries the bacteria that causes Lyme Disease, but it can also carry anaplasmosis. 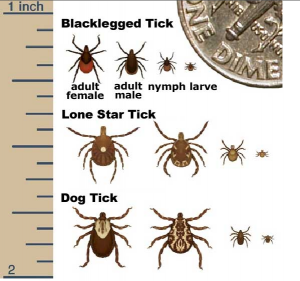 Here is a picture with the relative size of each of these ticks. How can you protect your pets? The best defense is prevention. By using a preventative treatment, you can protect your dog or cat from infestation. We have had great success with Bravecto and Revolution. If you take your pets outside, a tick check is an important step at the end of the trip. In your yard, clearing the edges of your property of brush and keeping your grass from growing too high can keep ticks to the perimeter of your lawn, limiting exposure. Clearing your yard of debris is a good step, but really the best method is to use a tick repellent, and to do a tick check when you come inside. There are products that can be used to treat your yard and home, but these are usually nasty chemicals, and we don’t recommend their use around people or pets. There have been pretty good reports about a product called the Tick Tube. It targets the mice that are the primary hosts of ticks. It consists of cotton balls coated with permethrin inside of plastic tubes. Mice take the cotton balls to their nest, and the permethrin kills any ticks infesting the mice, breaking the life cycle and limiting the numbers of nymphs. The concentration of permethrin is low enough that it doesn’t pose as much of a threat to humans or pets as long as the tubes are stored away from children and pets.